If you go on public lands and set up a tree stand about 100 yards from a parking lot where the public can access that public land, you can watch deer hunters come and go from the woods most of the day. If you don’t see these hunters, you will hear them. Near these places are where deer often bed-down. Remember that a deer’s eyes are much more sensitive to movement than a hunter’s eyes are, and a deer’s eyes can focus on both nearby and distant objects at the same time with the eyes set high and spread wide apart, allowing a deer to almost see around itself. A deer’s ears are more attuned to listening for hunters as they move back and forth through the woods. 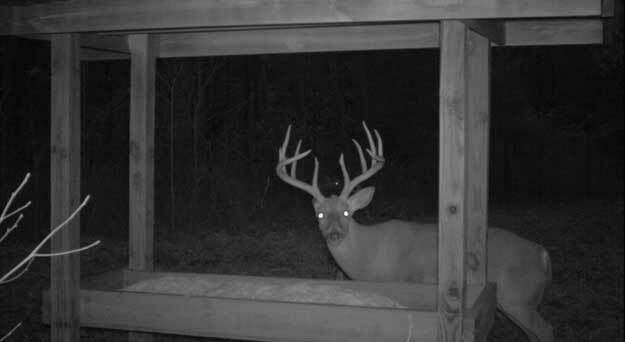 We often spook more deer going to and from our stands than we spook due to human odor. To solve this problem, Mossy Oak BioLogic offers a product, Blind Spot, that grows 8-10 feet tall. You can use Blind Spot to create a barrier you can walk through to go to and come away from your tree stand without the deer ever seeing you. Another advantage to using Blind Spot is that you can plant it on the edge of a green field where you want to set up an all-weather box blind. Instead of having to cut brush to better hide your blind, the Blind Spot will create a screen to make your box blind invisible. You can make holes in the Blind Spot through which to see and shoot. Blind Spot also can be planted to hide a green field. For instance, one of the corridors deer travel from one place to another is along highway and road edges. But if you plant a green field along those edges, everyone going up and down that road can spot your green field and the deer that may be out in it. However, planting Blind Spot along those edges of roads will create a barrier that motorists can’t see through even during the fall and winter months. Blind Spot gives you a way to protect and hide your green fields, your shooting houses and your hunting sites from curious eyes. Blind Spot is also effective for setting up observation points where you can watch deer coming into green fields before deer season arrives. One of the most effective ways to use a green field is to plant early in the spring and use trail cameras, binoculars and spotting scopes to see and observe the deer using the green fields. You can watch their antlers grow and observe the structure of the antlers to keep up with specific bucks as they grow heavy body weights and larger antlers. You can learn plenty about the mature bucks you want to take during hunting season. You also can see what your fawn crop looks like each year, get an idea of the buck-to-doe ratio on your land and determine how many does you’ll need to harvest during the upcoming season. Although most green fields are planted primarily for deer harvest, they also can be used efficiently for deer management and setting up harvest recommendations. 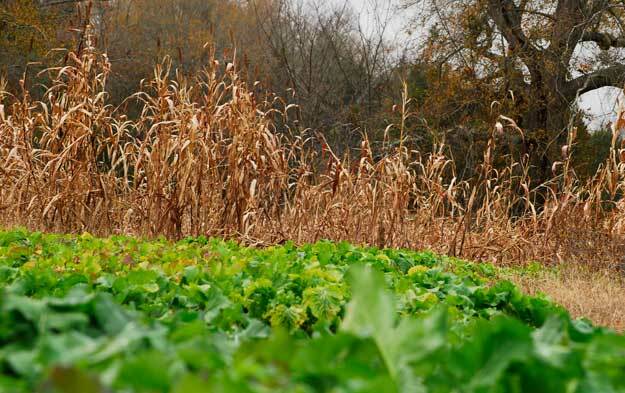 A green field is more than just a green field when a hunter and/or a landowner utilizes all the many different advantages that a green field provides. 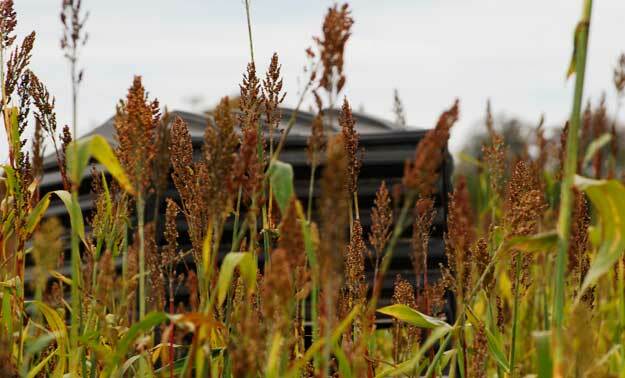 Be sure to have a plan in mind when choosing your food plot location. Mossy Oak Capture Digital Productions went to Wyoming during the 2017 Eclipse to hunt antelope in a ground blind. Mossy Oak recently launched its new Eclipse camo pattern for ground blind hunting and set out to capture a memorable hunt. Deer that enter the spring in top physical shape, rather than having to repair and play catch up, have their best chance of reaching their genetic potential. Doe will have healthier fawns and bucks can have a head start on that next set of antlers when they have a steady nutritional late season/early spring food source. American sportsmen hail from every walk of life imaginable, and just as they are a diverse crowd, so too are their reasons for participating in hunting. While many portray hunting as an intense effort to get game, the reality is the overall outdoor experience holds much more sway in attracting people to the sport. Let’s face it, we all get nerved up when that big buck, or doe suddenly steps into our shooting lane. If we didn’t, why hunt? You can’t eliminate it, but you can overcome it. One of the best remedies is experience. There are many reasons why bowhunters miss deer.